Complete your bluegrass bucket list - all in one place. 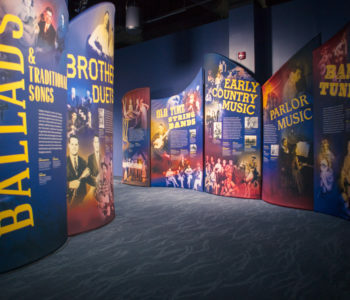 With constantly changing temporary exhibits and additional Hall of Fame inductees, the special exhibits on the second floor are the reason you’ll want to return to the Bluegrass Music Hall of Fame & Museum again and again. 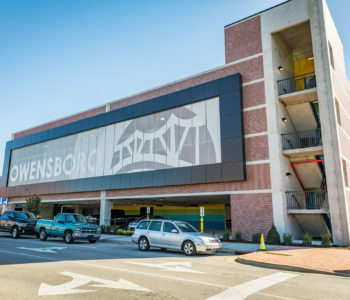 When you’re done enjoying the exhibits, experience the music behind them live at the outdoor stage or Woodward Theatre. In bluegrass, we respect our elders. 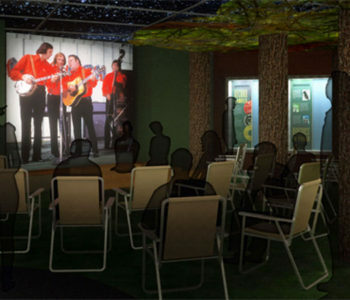 The crown jewel of the museum is the International Bluegrass Music Association Hall of Fame inductee room. This space is designed to properly honor the artists who conceived, shaped and influenced this unique American art form. 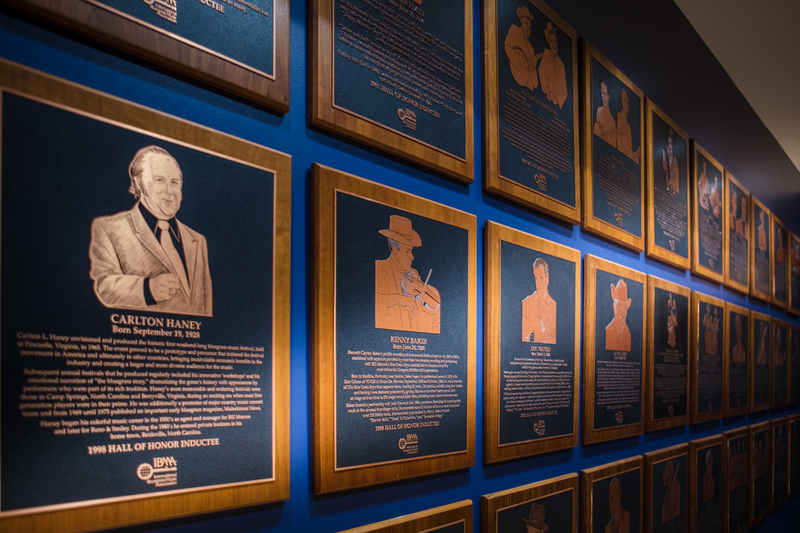 Founded in 1991, the Hall of Fame is the bluegrass music industry’s tribute to the pioneers of the music and the people who have made it great. Video interviews and artifact collections help enhance the experience as their stories are told and their legacies celebrated. 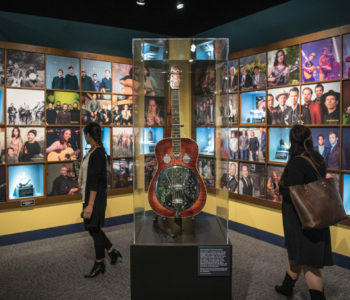 In partnership with the Marilyn & William Young Charitable Foundation, the Bluegrass Music Hall of Fame & Museum has captured video interviews with over 225 important bluegrass artists and musicians. These foundational artists tell the story of bluegrass music in their own words, made available through a unique, searchable interface. Temporary exhibits are rotated in two galleries, offering visitors not-to-be-missed opportunities of learning and discovery. Past examples include Bill Monroe Centennial, Pioneers of Bluegrass, A Decade of Dailey & Vincent, and Dixie & Tom T. Hall. 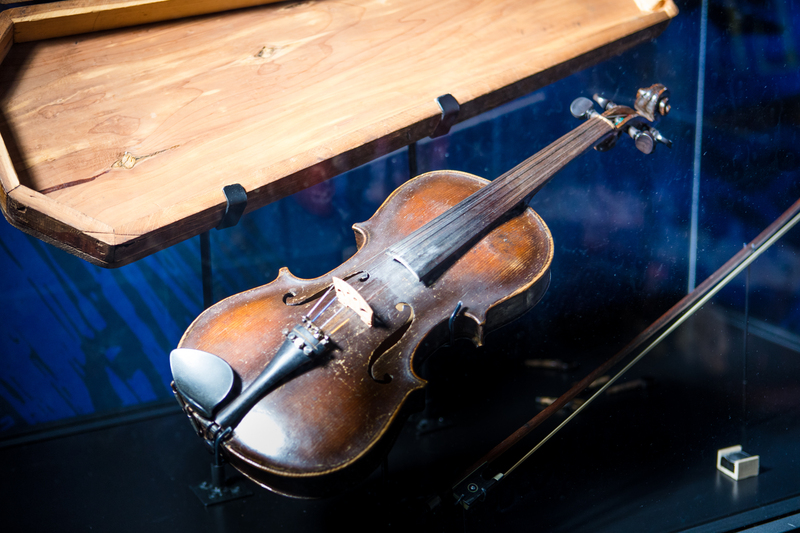 Originally part of the Bill Monroe Centennial Exhibit, Uncle Pen’s fiddle has been installed as a permanent display in the museum. 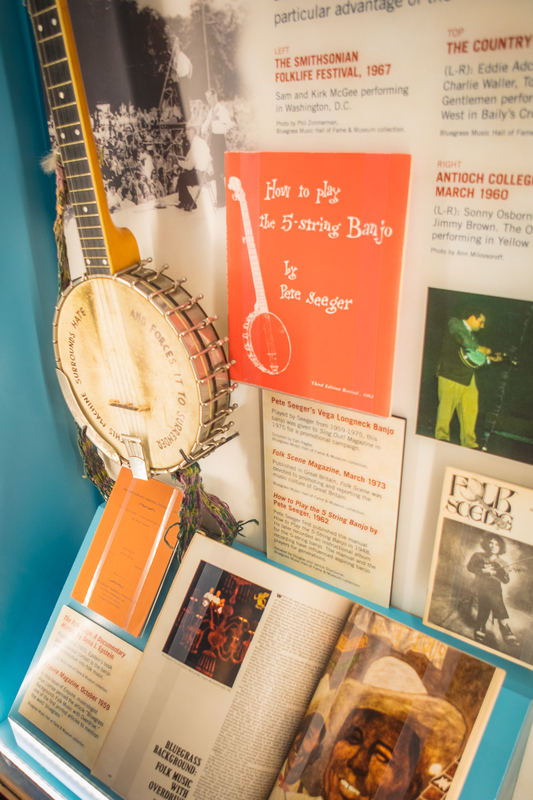 Donated to this museum by museum trustee Carl Pagter of California, the banjo was added to our permanent exhibits after Mr. Seeger performed with it during his Video Oral History interview in Beacon, New York, December 2006. You can listen to Pete playing the banjo, singing, and–as always–promoting peace through music. 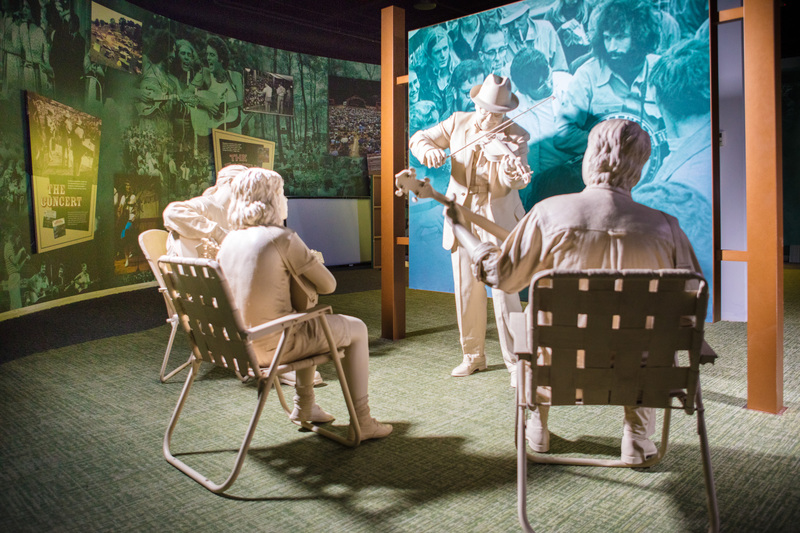 See why bluegrass has become an American history institution. Complete your bluegrass bucket list – all in one place. Arrange a unique trip, live performance, or guided tour. 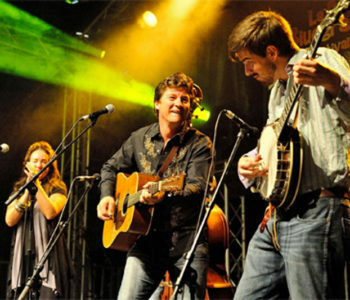 Bluegrass has come a long way from front porches, hoedowns, and barn dances. But just like always, bluegrass is still best experienced live. The Bluegrass Music Hall of Fame & Museum is located near the bank of the mighty Ohio River in historic downtown Owensboro, Kentucky. 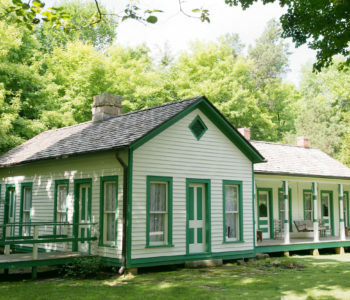 When you visit us, you are just 30 minutes from the homeplace of Bill Monroe, the Father of Bluegrass.